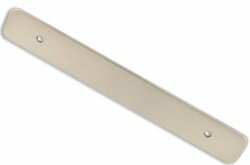 Our guide to Drawer Pulls offers detailed descriptions of companies such as Signature Hardware and Horton Brasses. 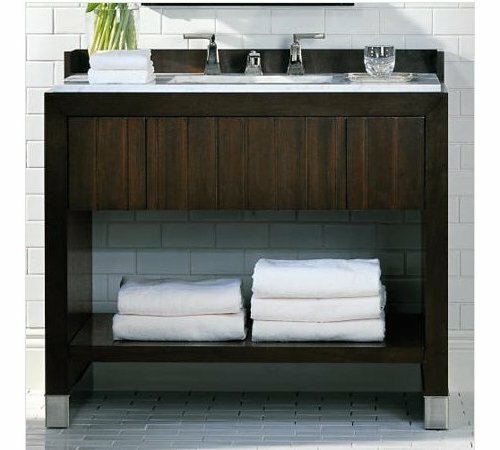 A handsome vanity for the man of the house. Face plates cover old holes from cabinet hardware.